Something Cooking ! : Baked-Garlic parmesan wings. 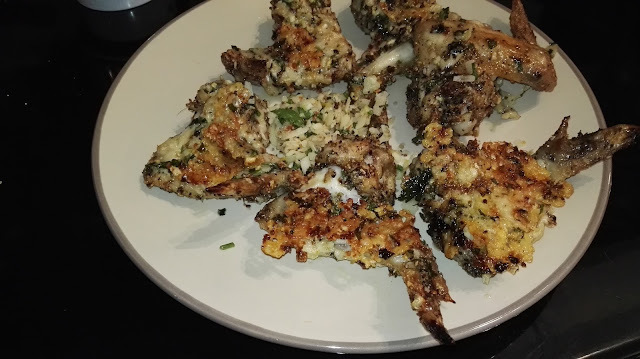 Baked - Garlic Parmesan wings. After cooking few chicken dishes want to try some baking!!! This time with the chicken wings with some basic ingredients and cheesy flavor. As a normal practice prepare yourselves before starting the actual process of baking. Wash, clean, drain the water and pat dry the chicken wings with the kitchen towel. Pre heat the oven at 210°c. Grate the cheese and keep it ready. Mince the garlic pods and grate the lemon zest and keep it aside. 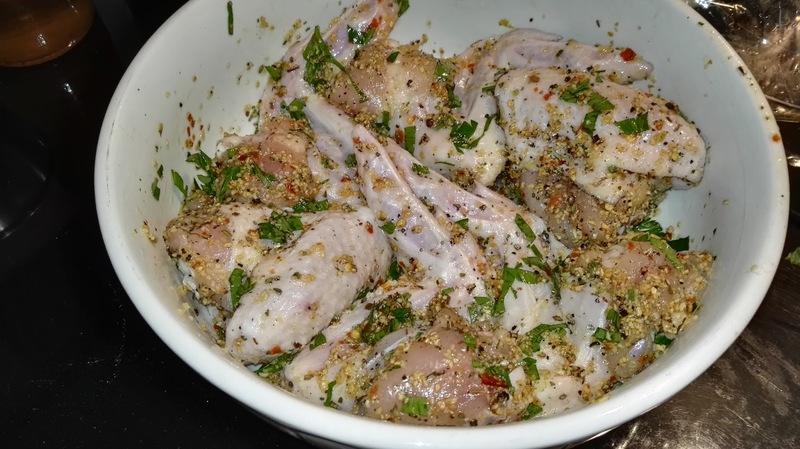 Now let’s start with the marination of chicken wings. Take a bowl and place the chicken wings. Add vegetable oil, salt, oregano, pepper powder, Chili flakes, dry garlic powder,half of freshly chopped parsley and mix well with your hands and keep it aside for 20 mnts. The preheating of oven might have ended by the time the chicken is getting marinated. Now take the cooling rack and brush some oil on it. Place the cooling rack on the top of the tray, so that the air gets circulated from down for the chicken to get cooked evenly. It will take 15 to 20 minutes for the chicken to cook. Take a bowl add the grated cheese, minced garlic, Parsley and lemon zest and mix well and keep it ready. **If you like more garlic taste in your chicken please add one or two pods more. I used three medium sized pods. ***Instead of lemon zest you can finely chop the lemon grass and add it. It will give better flavor than the zest. As I could not procure the same I used lemon zest. 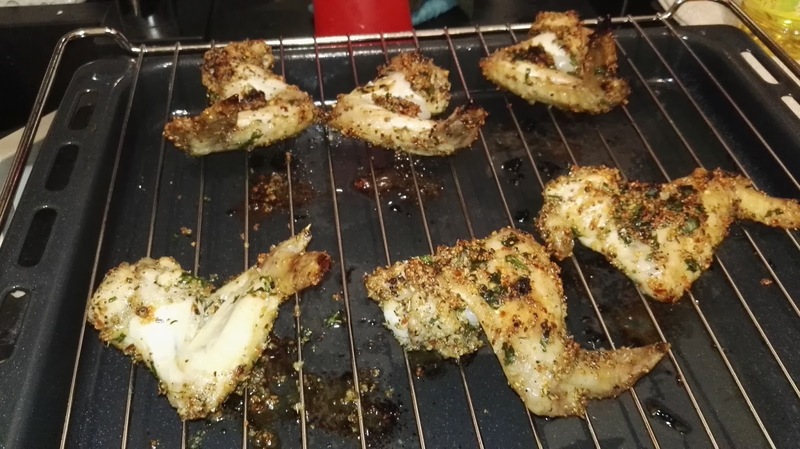 As soon as the chicken comes out of the oven, Mix them in the cheese mixture till the chicken is well coated. Place the coated chicken in the cooling tray and place it back in the oven for 10 minutes.